Peter Molyneux is famous for inventing the god game genre. He's a big name in game design to this day, but his last project, Godus was something of a flop. 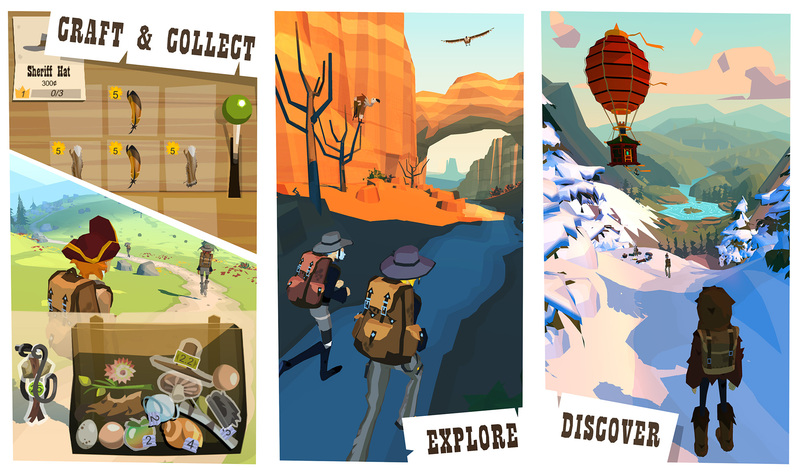 Now, Molyneux and 22Cans have made The Trail available to everyone in the Play Store. It's been in testing for a few weeks, and the early reviews are very positive. The Trail is about getting from point A to point B by walking, which seems like it would be boring. At first it kind of is, but you quickly learn it's the journey that matters, not the destination. You begin as what I can only assume is a homeless person. You have grubby clothes, no shoes, and a tiny backpack. Over time, you'll learn how to craft and buy new gear, making it easier to walk from one camp to the next. The graphics are quite nice—sort of low-poly and cel shaded at the same time. I've played The Trail for about an hour, and I have yet to actually run into the in-app purchases, but they are in there someplace. It looks like crafting has a timer, but everything I've made only takes a few seconds. Maybe that will get annoying later with more complex items. However, the reviews aren't full of people complaining about IAPs, so perhaps it's fine.